The steps in this help article explain how to add Chart Titles or Footers. 1.After a chart is created, click around the center of the active chart. 2.Click the Advanced tab and scroll down to find Text (between Appearance and Axes) (Figure 1). 3.Add a title on top: Type in this example "Add an extra title" for a new Title in Text and click Enter. The title is added on the top of the chart by default; the TextPosition property equals Top (Figure 1). 4.Add a title on bottom (as footer): Click Titles/(Collection) and click on the ellipsis [...] to bring up the ChartTitle Collection Editor window (click Default to see the new title in Text of the Editor). In the Editor, click Add to add a new title; type in "Add a bottom title" in Text, modify Misc > Position to Bottom, and click OK (Figure 2). 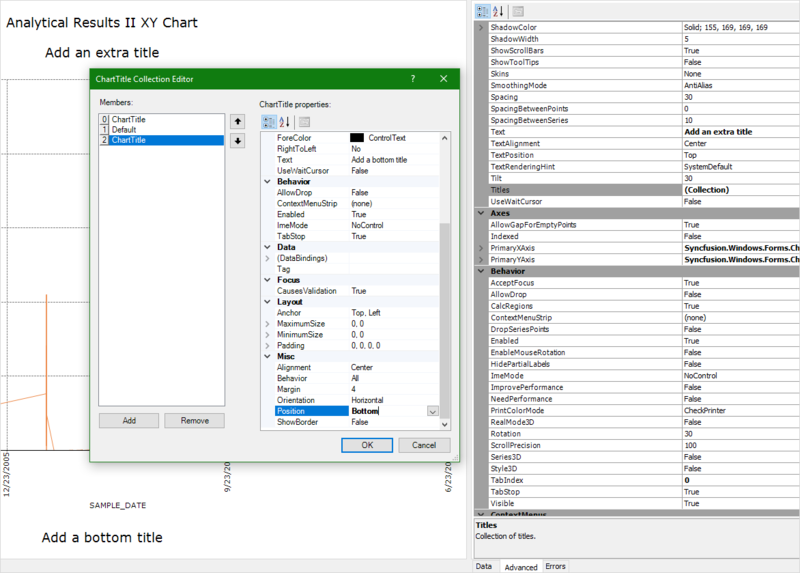 •Additional attributes of the existing or newly added titles in the Editor can also be edited (Figure 2). 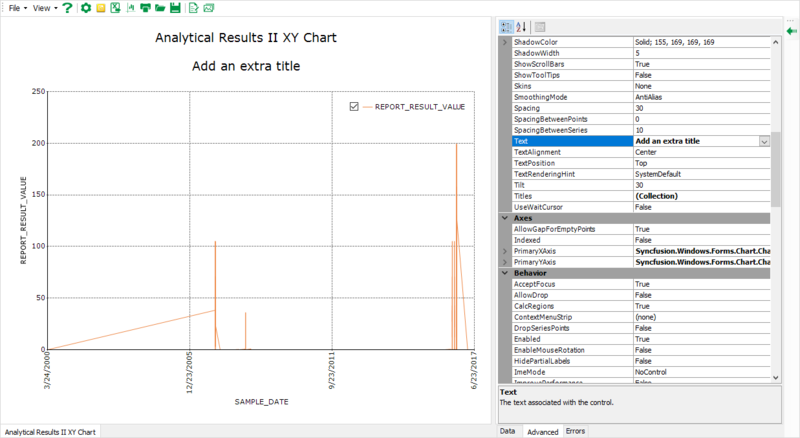 •Titles and Footers are not supported in Excel exports, but are included in image file exports (Export Charts).